Farmers and ranchers have long met the early morning with coffee and tea. Naturally we love our coffee and tea with fresh, milk or creamers! Our new, Longmont Dairy Farm coffee and tea products are inspired by the great coffee houses in Colorado, but with a special emphasis on dairy. After all, milk, cream and half and half, completely alter the taste of coffee and tea, so the quality of the dairy has as much to do with flavor as do the beans or leaves. We have partnered with locally owned Silver Canyon Coffee to bring you cold brew coffee and slow steeped black tea made with fresh, Rocky Mountain water. We’re all about fresh! We use fresh roasted and ground coffee, and pure Rocky Mountain water for our Cold Brew Coffee. It’s a slow process to let the beans cold brew for 24 hours or more. And it requires twice the amount of ground coffee than hot brewed coffee needs. But on a hot day, the taste is cool, smooth and rich, with roasted nuts and notes of cocoa, in a medium body blend. Read more about Silver Canyon Coffee below. Now you can create your own coffee drinks, combining them with our fresh and delicious milk and creamers, in the convenience of your home. Longmont Dairy Fresh Brewed Black Tea is slow steeped and imported by Silver Canyon Coffee. The tea features a traditional flavor and is sourced from the Iyerpadi Estate in India. We hand brew small batches of black tea in pure, Rocky Mountain water, and make it a little stronger, to help it hold up to ice or milk. The taste has medium body that’s crisp and malty, with a hint of natural sweetness. 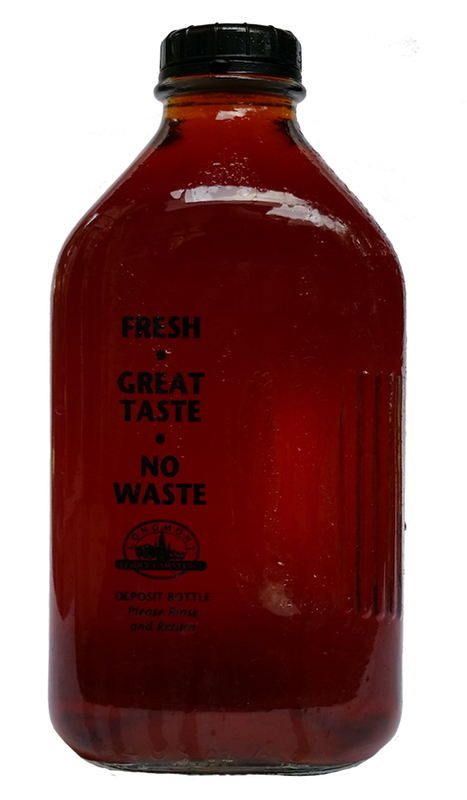 Delivered in half gallon, glass bottles. We Love Fresh Milk and Coffee! Sure our milk is the freshest possible, but fresh roasted coffee is also best for taste. 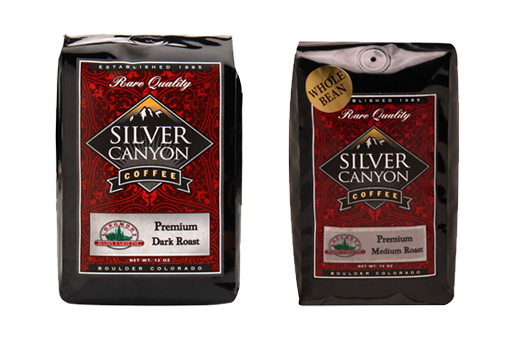 Silver Canyon Coffee is roasted locally, shortly before you receive it, and expertly blended. We offer Premium Medium Roast, a smooth, rich, European style blend of Central and South American coffees, in pre-ground or whole bean, 12 oz. bags. Try Premium Dark Roast, a complex and spicy coffee that is smooth, with a hint of sweetness, in pre-ground, 12 oz. bags. We think freshly roasted coffee with our fresh milk makes spectacular coffee/milk drinks right at home. 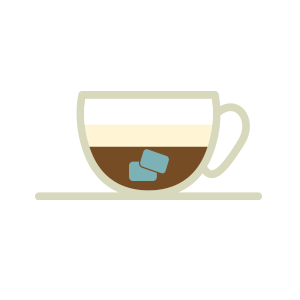 Espresso- A concentrated beverage made from coffee beans through a special brewing process. 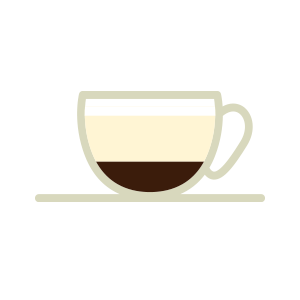 Espresso is brewed by forcing a small amount of very hot pressurized water through compacted coffee. The result is a liquid that is thicker and more caffeinated than traditional brewed coffee. A serving size is one ounce. Café au lait- (pronounced O’ le) in America, this is simply coffee with heated milk. The milk is heated so cold milk does not lower the temperature of the coffee. 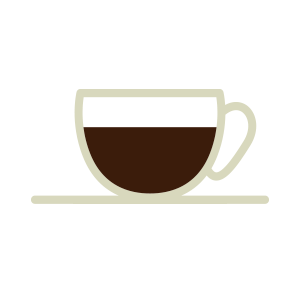 In coffee houses many use a French Press and milk is sometimes steamed. Sugar is added to taste. 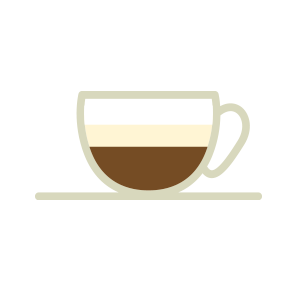 Cappuccino- contains steamed milk and espresso with milk foam. The steamed milk is heated to produce a smooth layer of foam. The foam is them poured into espresso. Cappuccino Freddo–The cold version of a cappuccino. Often topped with cold frothed milk. Shake or whisk about a quarter cup of milk in a jar, until it foams, and heat it in the microwave for about 10 -20 seconds to solidify the foam. Dollop foam on top of hot coffee. The old standbys are to just add great cream, or half and half, into a cup of great coffee as you rush out the door to work. Or, if you want to simulate a café mocha, add chocolate milk or Pro-to-Go to your coffee. In season, we also like Eggnog with coffee! If you love rich robust coffee, and love lattes, cappuccinos, or just milk, use Espresso for a deeper, darker taste. Our Premium Espresso is perfect with dairy.